Street Address Istanbul Bursa Road Hisar Mah. 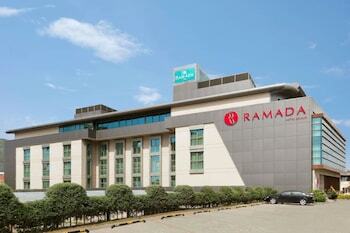 Located in Gemlik, Ramada Gemlik is a 4-minute drive from City Square and 7 minutes from Port of Gemlik. Featured amenities include a business center, express check-in, and express check-out. Planning an event in Gemlik? This hotel has facilities measuring 1615 square feet (150 square meters), including a meeting room. Free self parking is available onsite.